Cotton canvas natural tote bags with self fabric handles. 1 Colour imprint included $5.74 $5.06 $4.11 $3.95 each. Less than the minimum quantity shown above is not available. 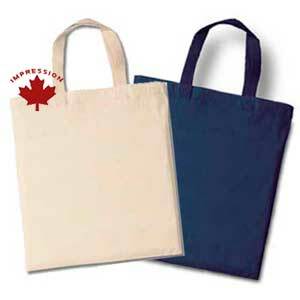 The above prices include one common printed logo or message in one position on the tote bags. The random sample cost for this item with a delivery schedule of 10 days, has a US $50.00 handling charge, PLUS the cost for each individual sample(up to 3 pieces).